ST. PETERSBURG, Fla. – In the 1980s, New York’s gritty Lower East Side was a hotbed of aspiring artists and entertainers with the common goal of achieving fame and success. 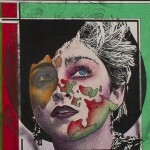 Two of the kindred spirits drawn to each other within the fast-paced microcosm of music, art and youthful freedom were British-born artist, dancer and model Martin Burgoyne and his best friend/roommate Madonna. On February 9, Myers Fine Art will auction the Burgoyne family’s archive of mementos from their late son’s New York days as the centerpiece of its 20th Century Decorative Arts sale. 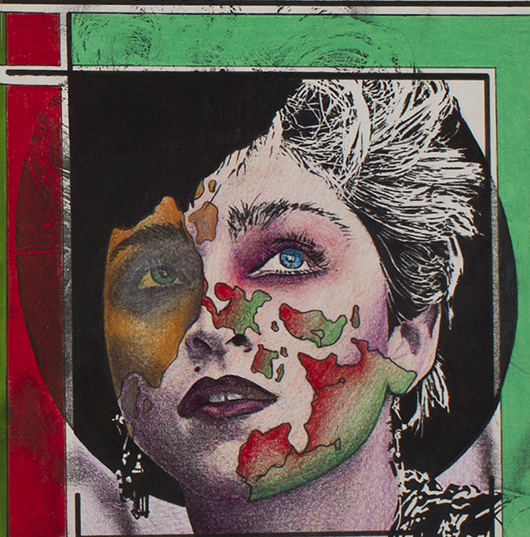 Burgoyne’s portfolio of 12 original colored-pencil drawings, some of them depicting Madonna, were chosen to grace both the front and back covers of the pop star’s 1983 debut 12-inch dance single, “Burning Up.” The portfolio of original art is estimated at $2,000-$4,000. 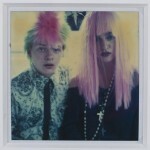 1980s Polaroid photograph of Burgoyne and Madonna, estimate $600-$900. An extensive trove of Polaroids and studio photos, documents Martin and his friends at work and at leisure in their collective comfort zone. A candid Polaroid of Martin – then a student at Pratt Institute – and Madonna – who was on the verge of stardom – shows them in the fashions and pastel-colored hair typical of the early 1980s. “Madonna is already revealing her individuality, with rosaries draped around her neck,” Dowd noted. The photo is estimated at $800-$1,200. Other prized Polaroids include one taken of Burgoyne looking like a latter-day James Dean with friend Keith Haring (1958-1990), against the backdrop of a Haring artwork. Estimate: $800-$1,200. A color photo of Burgoyne with Madonna in a recording studio could realize $800-$1,200 at auction. Other artworks of note include an Andy Warhol (American, 1928-1987) original screen print “Mao #91,” measuring 36 inches square and numbered 56/250. The 1972 print made at the Styria Studio is estimated at $35,000-$50,000. Also having a Warhol connection is a 3ft-long painted-canvas sardine with movable tail, which retains its Sotheby’s sticker from the highly publicized 1988 auction of cookie jars and other items from the pop art legend’s estate. 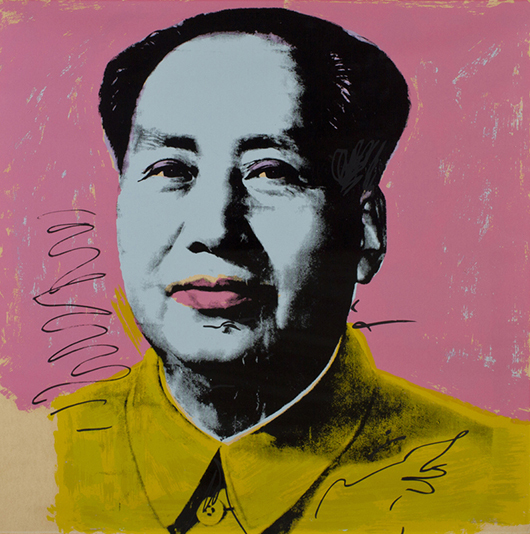 Andy Warhol (American, 1928-1987) original screen print ‘Mao #91,’ 1972, 36 inches square, numbered 56/250, Styria Studio, est. $35,000-$50,000. Myers Fine Art image. Of great historical significance is a small collection of items connected to the family of Tsar Nicholas II of Russia, and which will be apportioned into three auction lots. The grouping includes two 1899 signed photos of Nicholas and his wife, the Tsarina Alexandra, which were given to Secretary of the Interior Ethan A. Hitchcock while he was Ambassador to Russia under President William McKinley. The collection also includes a gift given to Hitchcock by Tsar Nicholas II: a Faberge parasol with a guilloche enameled gold and diamond handle created by premier Faberge designer Michael Perchin. Estimate: $4,000-$5,000. Myers Fine Art’s Sunday, February 9, 2014 auction of 20th century decorative art featuring the Martin Burgoyne collection will commence at 12 noon Eastern Time. A preview will be held from 10-6 on Saturday, February 8, and from 10 a.m. till noon on auction day. The gallery is located at 1600 4th St. North in St. Petersburg, FL 33704. All forms of bidding will be available, including live via the Internet through LiveAuctioneers and Invaluable. For additional information, call 727-823-3249 or e-mail auctions@myersfineart.com. Online: www.myersfineart.com.